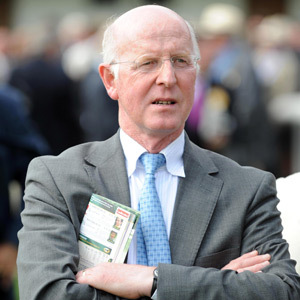 John Oxx was already a hugely successful Irish trainer before 2009. By then, he had already matched his father’s success at home – Oxx senior trained eight Irish Classic winners – while also winning big abroad, at the Epsom Derby, the Arc and the Breeders’ Cup Mile. He’d also had great horses before, including Ridgewood Pearl, the 1995 Breeders’ Cup Mile winner, and the Aga Khan’s Sinndar, who won The Derby, Irish Derby and Arc in 2000. 2009, though, was even more special. For Oxx, it would be the year of a lifetime and, in the shape of Sea The Stars, the horse of a lifetime. Within a season, horse and trainer had raced into sporting folklore. Not that the quietly-spoken Irishman, known for his consummate professionalism, would put it in such grandiose terms. But facts are facts. Sea The Stars won six high-class Group 1 races out of six in 2009, including two British Classics – the 2000 Guineas and the Investec Derby – as well as the Prix de l’Arc de Triomphe in Paris on his final start, a unique treble. When the colt, under the equally legendary 50-year-old jockey Mick Kinane, escaped from an apparently impossible position to win the Arc, Oxx did not jump about or punch the air. He just smiled, with relief. Sea The Stars, ranked by many experts (including Ian Balding, who trained Mill Reef) as the greatest European Thoroughbred of them all – until Frankel came along, that is – never ran again. Kinane never rode again. Oxx, though, continues. It’s tempting to suggest that, by definition, the rest of his training career will be an anti-climax. Only a fool would count on that, though. In another life Oxx could have been a vet, having qualified as one after graduating from University College Dublin. He gained his training licence in 1979, taking over from his father, but struggled to gain momentum before his big breakthrough in 1987, when he won both his first Classic with Eurobird in the Irish St Leger. Another big breakthrough – and vote of confidence – came in 1988 when the Aga Khan chose Oxx to train for him, a relationship which continues to yield rich success. Tough stayer, Saddler’s Rock, has done him proud in the QIPCO British Champions Series, winning a race in each of the first two years.